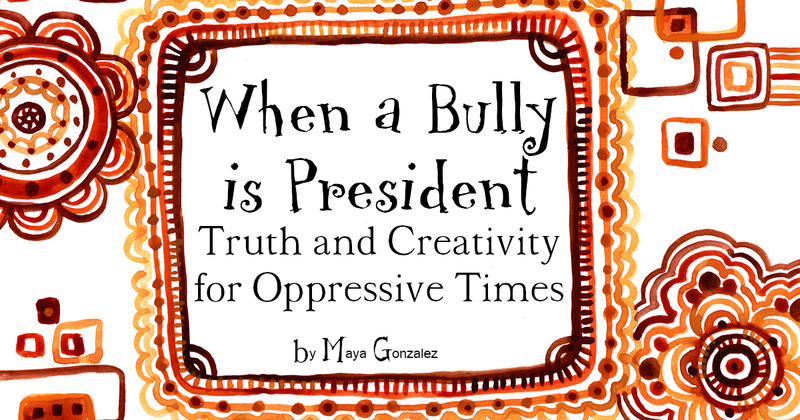 It is with fierce love that I share a reading and arte of my children’s book When a Bully Is President, Truth and Creativity for Oppressive Times for today’s inauguration. In the days ahead we must know the truth of who we are and that we are pure creative power. Go slowly and carry your pen. Document your life and experiences, your thoughts, your children, the people you know. Write. When you don’t have words, draw. Use your creative power to guide you and know yourself. Let it flow through these days and through your heart. Because if we’re going to make it through, and we will, we’re going to have to open new paths, dream new worlds, write a whole new story. We need our creativity more than ever. Take care today. And tomorrow. Take care during all of these days. They will test our love, for ourselves, for each other. These days will test our love for truth and our love for humanity. But through everything, creativity will guide us back to the truth of ourselves. Voice is a revolution. The time is now. Pre-orders available through Reflection Press. I ordered your amazing book. I have shared it with the community director at JFK high school in Newark for the multiply handicapped. She is the director of the anti-bullying directive at the school. I am moved by the depth and power of the message. The coping skills taught. 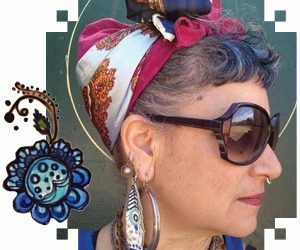 The search for ancestral meaning and memory when coping with being bullied. An experience to be explored by the individual. Your message of institutional bullying as a context to history is remarkable. I would love some guidance and maybe resources to include your compassionate and wise work at our school and for our students. The Art work alone reproduced for our school walls comes to mind. I would love to learn more. The Art therapy included is inspired. I am inspired and want to do something with this and our students. Any guidance would be so welcome. 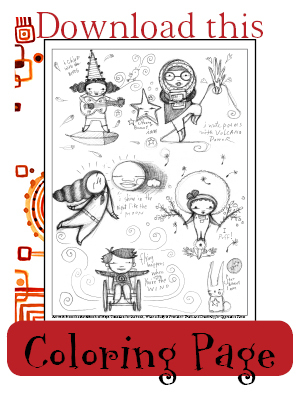 Thank you for writing drawing and publishing this book. The community project might be of particular interest to do with your school community and the Reader’s Guide offers additional insights and further reading that could help take the work and book even further. So glad to hear it is serving you and your students!